How to do the Classic Hikes of North America with a world-class guide. Most of the routes described in Classic Hikes of North America can safely be done by an experienced party of reasonably fit hikers without a guide. But for a handful of the hikes can benefit from the logistical support and local expertise a good guide service can provide. That is particularly true for those routes that are located in remote regions, or have complicated trail-head transportation issues, or permits that are difficult to obtain. In those cases, a competent local guide service can prove invaluable. A skilled and experienced guide service can enhance the enjoyment of doing the route by removing logistical problems, and taking care of food, thereby leaving the hiker free to enjoy the walk unencumbered with practical concerns. 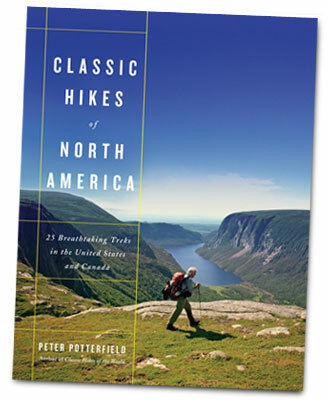 Author Peter Potterfield has teamed with top guide operations such as Southern Yosemite Mountain Guides and Alaska Wild to offer guided hikes for the handful of appropriate routes included in Classic Hikes of North America. 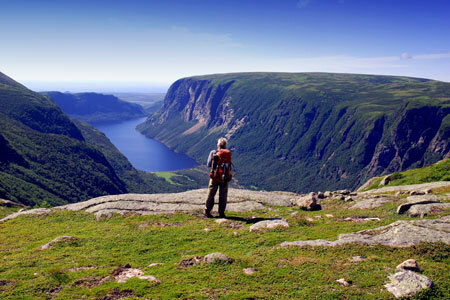 With prior, special arrangements, the author can even accompany a group of hikers on these routes. For more information, click on the route you are interested in doing. For routes not listed, click here. The author above Ten Mile Pond.